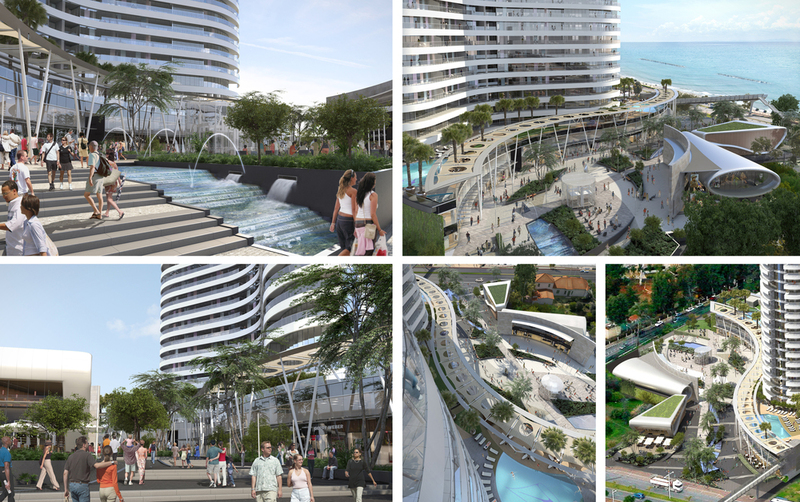 Limassol Landmark is a mixed use project comprising new public parking, retail, recreational areas and a luxury residential tower with a spa, gym and health club. The design was inspired by the unique coastal location, and calls for a solution with all apartments enjoying sea views and spacious terraces to enjoy alfresco Mediterranean living. The verandas will protect the tower from the hot sun in the summer as well as reduce the heat gain and cooling load in the summer. 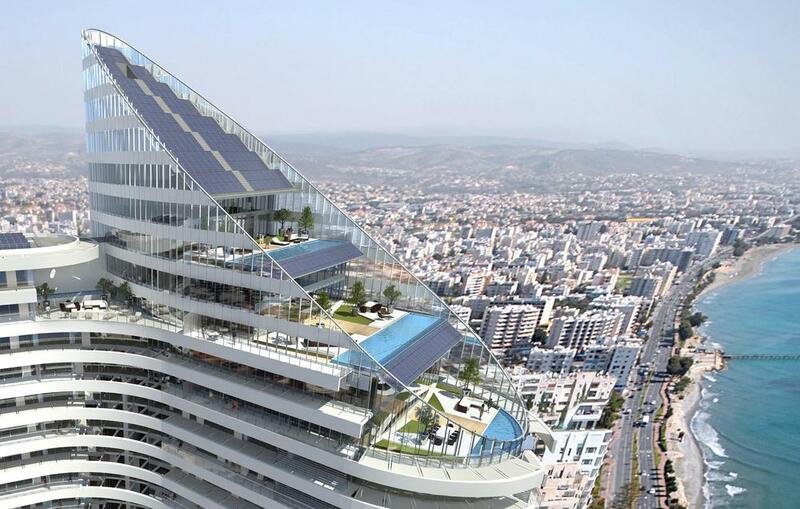 The duplex penthouse skyhomes enjoy sea views, with the wider panorama of Limassol as a dramatic backdrop. 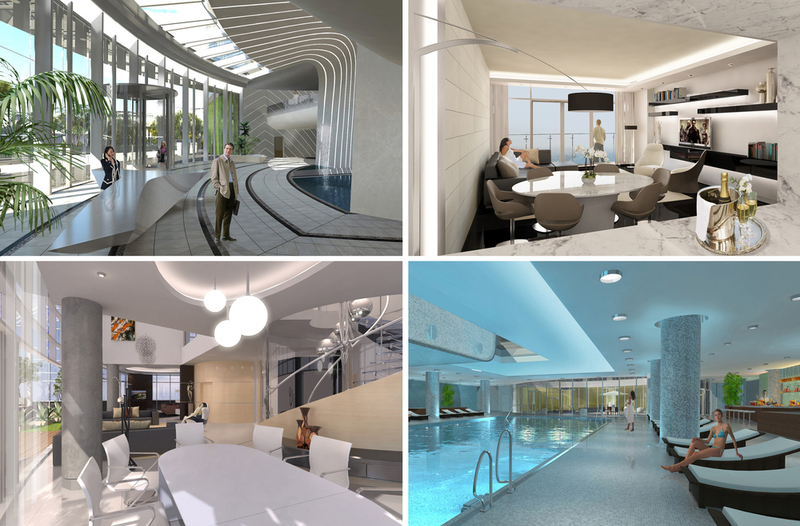 They offer quintessential 'skyhome living'; a vision of comfort and exclusivity. The living spaces open out onto a generous landscaped terrace with an infinity edge plunge pool. A variety of energy saving technologies are incorporated in the design, including an integrated solar water heating system, bore hole cooling system, heat recovery for the service plant floors, high efficiency lighting and good lighting control, as well as specifying stringent U value and air leakage requirements. The street level is designed to anchor the building in the city in order to shape a new socially sustainable neighbourhood and improve living conditions. 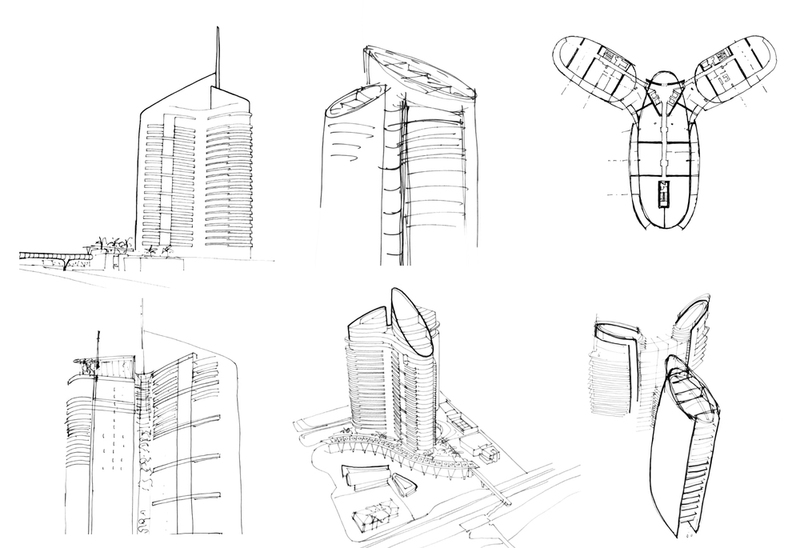 Permeability and connectivity are key to the success of the project; public car parking and ease of movement through the plaza offer the city a unique and attractive hub. The retail component is arranged over two floors with canopies for shade. The restaurants and the shops are transparent to engage directly with the public and the square. 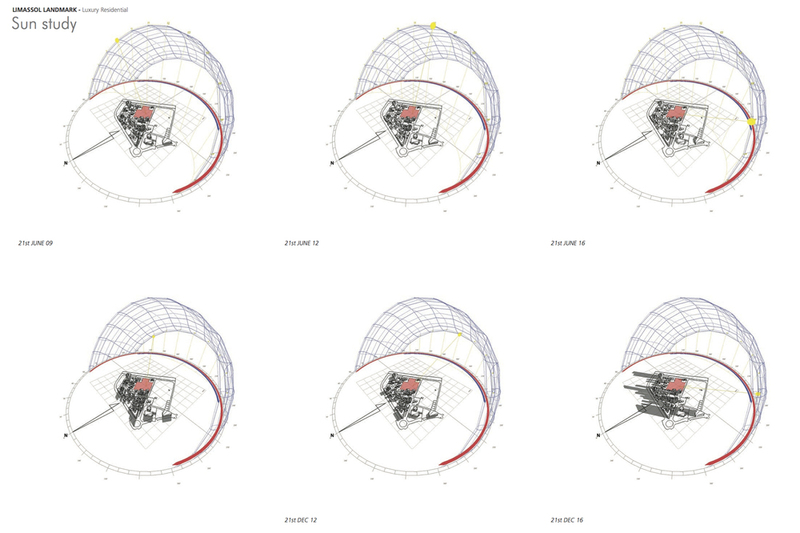 The masterplan is based on developing distinct spatial and circulation hierarchies giving a sense of arrival, freedom of movement and a unique identity to the new development.